ABC News out of Australia is reporting that whooping cough cases among infants are increasing, and that the vaccine seems to be loosing its effectiveness. The National Centre for Immunisation and Research of Vaccine Preventable Diseases in Australia has found whooping cough cases are increasing in very young children. Senior research fellow Dr Helen Quinn says: "The a-cellular vaccine we use now wanes. The immunity you get from them wanes a lot quicker from what we expected...Now that we've got this vaccine that doesn't last quite as long, perhaps some of those increasing cases that we have seen, particularly among three-year-olds, is due to this waning of the vaccine." 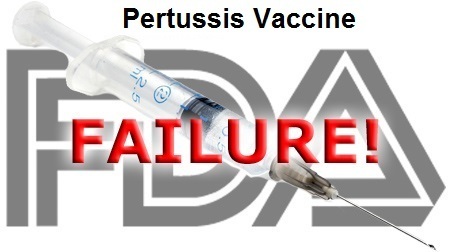 The pertussis vaccine for whooping cough is a failure. This fact is not even denied by mainstream medicine. Yet, the pro-pharma media continues to blame the tiny percentage of unvaccinated children as the cause of whooping cough outbreaks, when in fact the data clearly shows the outbreaks are occurring mainly among the vaccinated population. The Pediarix vaccine, which has several vaccine"s in one shot, combined with several others was documented to cause asthma is children. I read the report finding and I know several children this has happened to. Oh, John, it does something. Have you read the manufactures list of side effects? Not one of those? Ok, just wait 10-20 years down the line. whats more important here? lives or corporate profit? Why am I not surprised the vaccine does nothing.